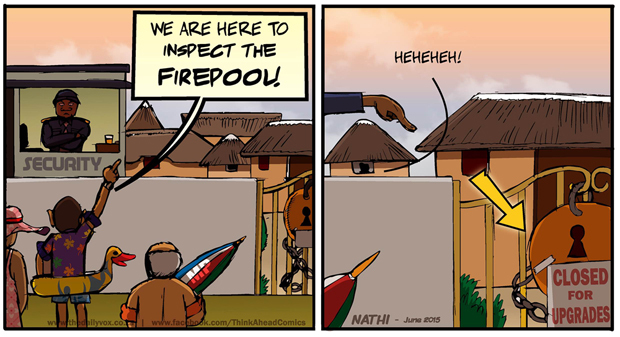 MPsâ€™ Nkandla inspection: have they packed their swimsuits? MPs are scheduled to visit President Jacob Zumaâ€™s Nkandla home next month for an inspection, as part of processing police minister Nathi Nhlekoâ€™s report, which found that the president does not have to pay back the money after all.Â We hope theyâ€™ve got their swimming togs ready â€“ inspecting the fire pool is sure to be on the agenda. How far will a person go to escape their homeland?